Bring your little ones to the Annual Crosslake Lutheran Church Trunk & Treat. 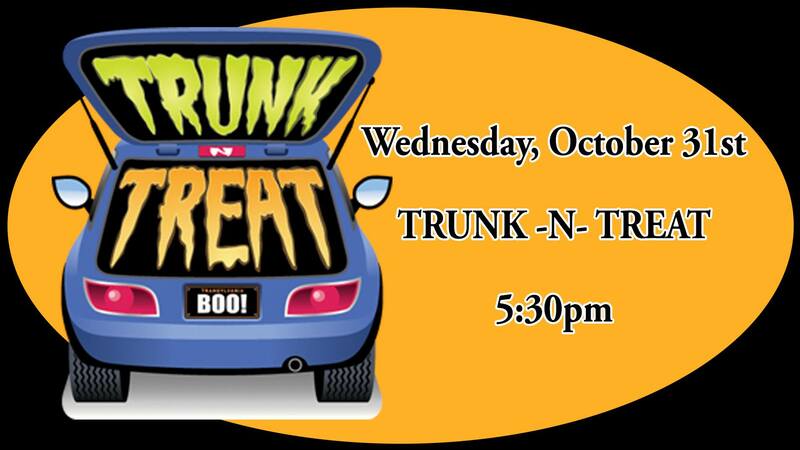 The children will “Trunk & Treat” vehicles decorated in the parking lot and proceed into the fellowship hall for fun Halloween games and activities. Food will be available.